A MUCH-loved Barne Barton cat who made headlines around the world has died after being hit by a car. 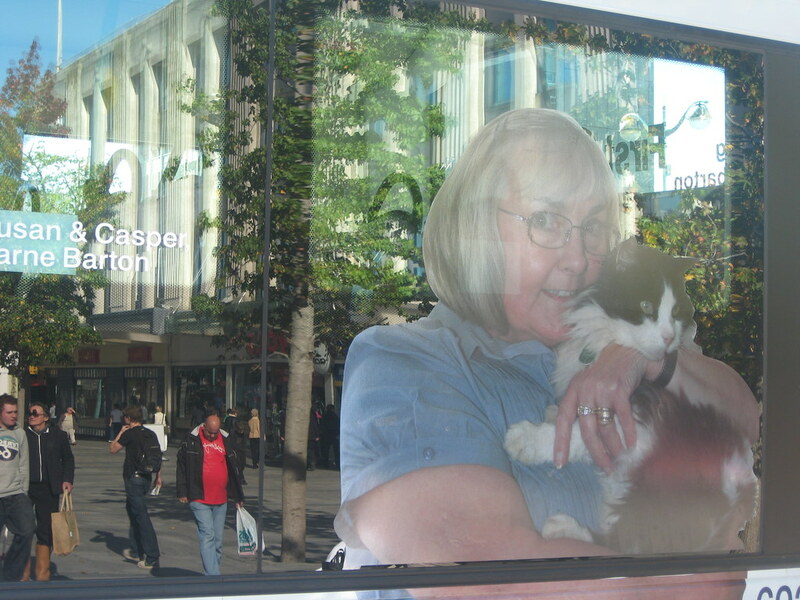 Casper the commuting cat fast became a celebrity on Plymouth buses when he used to politely queue with the other passengers, before hopping aboard to travel around the city. His owner says she’s devastated and doubts she’ll ever have a cat like Casper again. Sue Finden said: “I never dreamt I’d miss an animal as much as I miss him. He was lovely and loved people so much – he was such a different character.” She said she only found out about his death when a woman knocked on her door to tell her she’d seen Casper get hit by a car, but the driver hadn’t stopped. Marc Reddy, Managing Director of First Devon and Cornwall, expressed the company’s sympathy for the friendly feline. He said: “We were devastated to hear that Casper had been involved in an accident; he was a regular passenger on Service 3 in Plymouth and had become very well known across the business. “On hearing the news of his death, many of the drivers expressed sympathy for him and Susan, and we contacted her to offer our collective condolences. “Casper touched many people’s lives and clearly had a very exciting life – travelling around Plymouth and who knows where else. I suspect he’s now exploring heaven and is telling all the other cats up there about the many adventures he had.” Casper was so popular that an image of him was emblazoned onto the side of a First Devon and Cornwall bus. Mr Reddy said: “Casper’s image will remain on the bus for some time to come, and we hope that seeing it around town will give Susan some comfort.” He added that Casper is also due to feature in a children’s TV programme later this year, detailing his exploits on the bus in the city. “His memory will live on, giving people pleasure, for a while yet,” he added. The tale of Casper the commuting cat, who would politely queue with bus passengers before contentedly riding around Plymouth, made headlines and raised smiles around the world. Sadly the cat's love affair with the open road has proved his downfall after he was killed by a hit-and-run driver, it emerged today. Casper was my cat, Chris my husband and I have been touched by the many wonderful reviews from around the world.Also the kind emotional email from First National and reviews from the many First bus drivers, thank you.The call from The Herald newspaper was much appreciated too. I thank the lady who knocked on my door last Thursday 14th January at 8.45am to inform me Casper had been hit by a car. She kindly returned today to enquire how Casper was. She had no idea the driver had killed him. The lady informed me who had hit him, it was a taxi company from Plymouth. She rang that company immediately to inform them one of their drivers had hit Casper. They were not interested and said it was only a cat. A sad end to a popular cat.